And this is the thermal exhaust port that you'll be targeting with your proton torpedoes. And you know we're serious because we're using the special double pointer! Not my best opening joke. Not even a joke, really. It's just word piled up together that happen to form a coherent statement. I hate days like this. My brain stopped functioning about 3 hours ago. I don't mean it literally stopped functioning. What I mean is, thinking is happening right now. I don't even have the excuse of drinking beer to explain it. I just don't have the ability to focus right now. So, bear with me in this post. I am going to try and make it coherent, but right now it's hard concentrating because SQUIRREL! Sometimes I just hit this phase where I am easily distracted. Nothing I do holds my attention for long. But I do have my post planned out for today. And that's good. Because doing research today would be difficult. When I get like this, I become a little chipmunk on the internet, following every link like it's food to see if it's tasty. But since I have already done my research, I should be able to do this post without too much problem. And that's good. Because today is Thursday. Or as I like to call it, Totally Trippy Theory Thursday. This is the day I SQUIRREL! tell you about an actual theory that actual people actually believe. I think part of the reason I'm having a problem concentrating is because of this post. It's a confusing one. I'll do my best to sort it out for you. There is a form of energy called Vril that is wholly renewable, but it is controlled by a society of matriarchal socialist superior beings living in a subterranean utopia that was found by Nazi scientists at Shambhala in Tibet, because they read about it in one of the first science fiction books ever written called "Vril: The Coming Of The Race" published in 1871 by English author Edward Bulwer-Lytton. Ok, everyone got all that? When the book was originally published, science fiction wasn't really a well known genre. And because of the era, all it took to be a scientist was to call yourself a scientist. And people were more gullible willing to accept facts at face value. So when people started reading this book, they took it seriously. Most notably, scientists took it seriously. They felt it's truth was easily proven with the occult. It's said that the Nazis used the Vril to power their UFO's which allowed them to travel to the moon and build a base there. (You did know there was a Nazi moon base, right?). Of course, the allies knew nothing of this energy until the Russians took Berlin. Russian troops who were clearing the city began finding small groups of German soldiers dead, but not from combat; They all appeared to have committed suicide. And the German soldiers weren't German. They were asian. Ok, the fact that there were asians in German uniforms wasn't all that surprising. The Wehrmacht was known for conscripting prisoners and residents of occupied territories into battalions that were compelled to fight for Germany. But these asians, well, one of the Russian troops was from Mongolia, and he recognized the race. They were all from Tibet! What were all these Tibetans doing in German uniforms? They were helping the Nazis with Vril, of course. And they killed themselves to keep the secrets from the allies. Because they weren't actually Tibetans. They weren't even human. They were of the alien race the Nazis found underground in Tibet. Of course, the allies dug into the mystery of the Tibetans and discovered the truth. They learned all about Vril. But what they didn't get were the aliens, who had all killed themselves, or the location at Shambhala where they could find more. But what they did get were the surviving Germans who knew how Vril worked. And they took them home. How else did we land men on the moon less that 25 years after the war ended if we didn't use alien energy and technology? This theory is still around, but it's mainly propagated by neo-nazi groups who say they are being strengthened by Vril warriors. Now, I've just scraped the surface of this theory. Because even the bare essentials I've given here are pretty confusing. 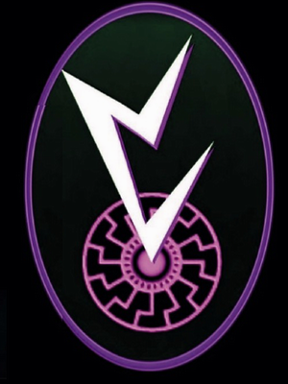 If you're interested, you can read up on 'The Vril Society', 'The Vienna Circle', 'The Thule Society', 'The Hermetic Order Of The Golden Dawn', 'The Luminous Lodge', Helena Blavatsky, Karl Haushofer, Maria Orsitsch, and Theosophy. I'm fairly sure you'll still be confused when you're done SQUIRREL! reading up on everything, but at least it won't be my fault. Now remember, this is an actual theory that actual people actually believe. And just wait until you read about the theory I have for you next week.